Just over week ago, we learned that the much rumoured crossover between The Flash and Supergirl was officially going to happen. Along with the 90’s Flash, Kara Zor-El is very briefly glimpsed during the next episode of The Flash, which airs next week on Sky One. 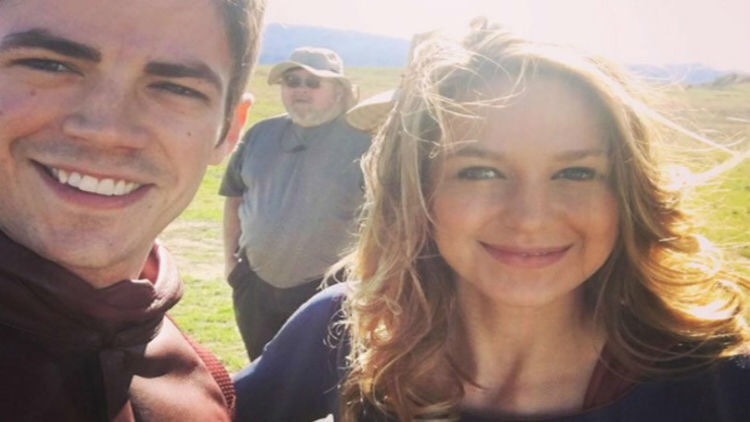 Grant Gustin (The Flash/Barry Allen) took to Instagram to share the first photo of him and Melissa Benoist (Supergirl), both wearing their superhero costumes. 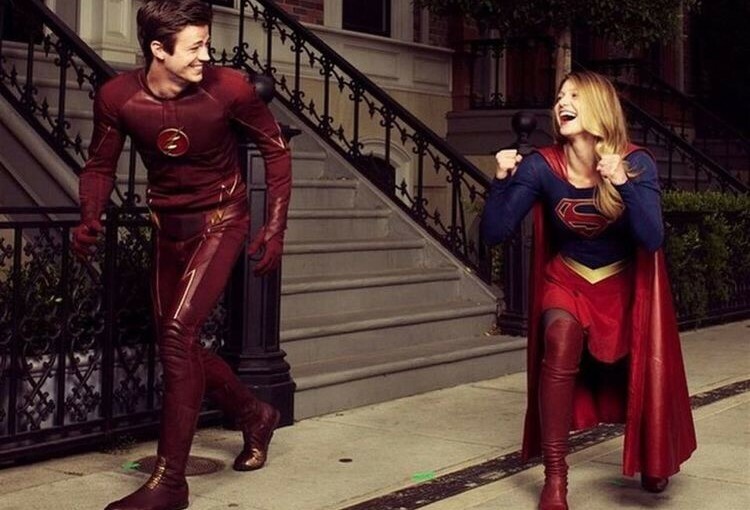 Barry Allen and Kara can be seen on set, while shooting “World Finest” — the eighteenth episode in the first series of Supergirl. I fully expect The Flash to travel to an alternate Earth, where Supergirl exists. Trust me, it’s only a matter of time before Arrow shows up in Gotham. 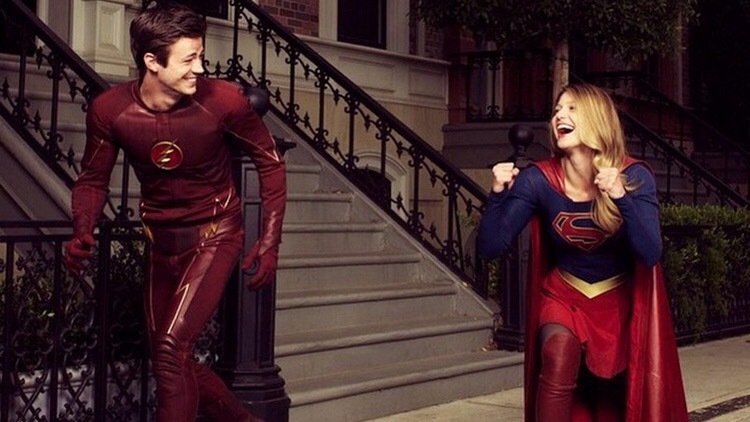 There’s been talks about a possible crossover between The Flash and Supergirl ever since Supergirl was announced. Well, now it’s been confirmed that the crossover between the two shows is actually going to happen. American network, CW announced today that The Flash star Grant Gustin will guest star in an episode of Supergirl and that episode is set to air in the US on March 28th. As of yet, plot details are very thin on the ground but I suspect this will involve Barry travelling to an alternate Earth. 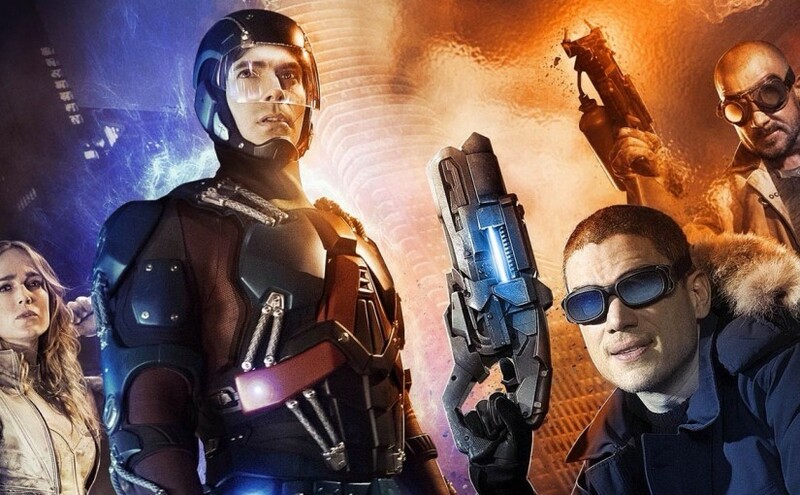 DC’s TV universe is about to expand with Legends of Tomorrow, a time-traveling superhero series, that is a spin-off to The flash and Arrow. 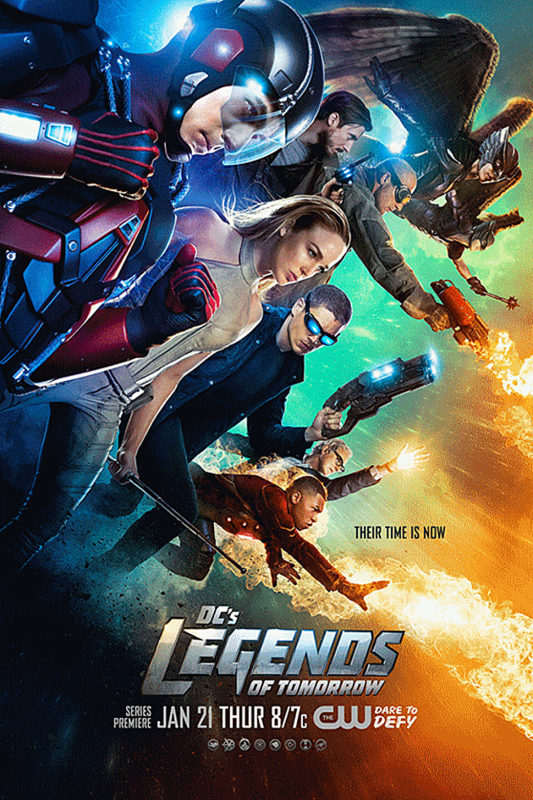 The show revolves around the adventures of the supporting characters from the Flash and Arrow. The series debuts in the US on January 21st, no UK broadcaster has been announced yet. But I would be very surprised if Sky One didn’t pick this up. This weeks episode of Arrow brings the character of John Constantine to Star City. After his show was unjustly cancelled by NBC last year, the character was left in limbo, with all the mainstream Networks unwilling to pick the series up for another run. Luckily, the Hellblazers (Constantine fans) spoke up and requested he make an appearance in the Arrow/Flash universe, and it actually works pretty well. 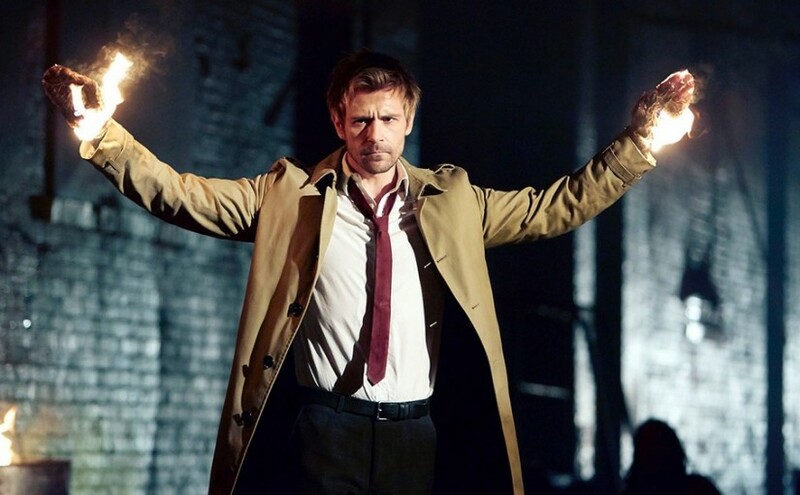 Like Robert Downey Jr as Tony Stark, Matt Ryan as Constantine is just a perfect piece of casting. 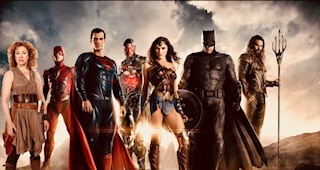 I pity the actor who picks up the role in Justice League:Dark. I’ll admit now, I don’t normally watch Arrow. 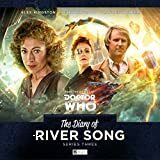 I struggled to make my way through the first episode of series one. It felt like a badly made American soap opera from the 80’s. But after this episode, my interest has been piqued. When this broadcast in the US last week, it saw ratings spike with an extra two million people tuning in. Hopefully it will inspire the team behind Arrow and The Flash to bring Constantine into more episodes. I’m sure there’s space for him in Legends of tomorrow. If not then there’s always Supergirl..
Arrow airs on Wednesday’s at 8pm on Sky One. 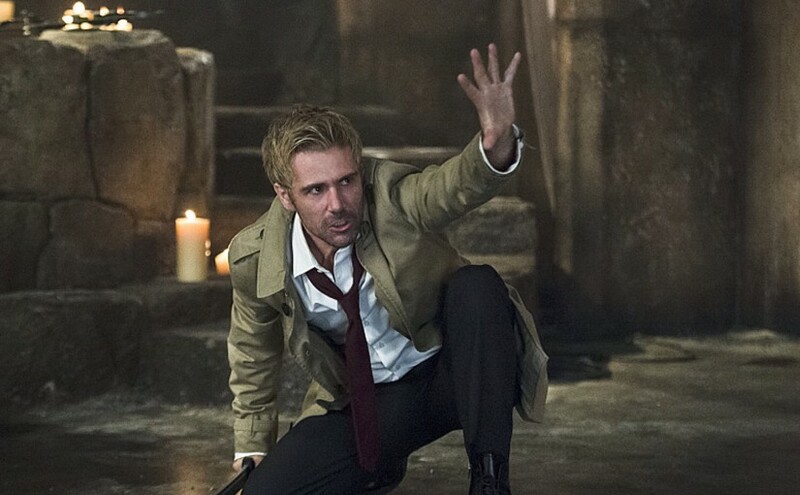 The Constantine series may have been canceled by US Network NBC, but thanks to Warner Brothers insisting that all their TV properties take place in the same universe, regardless of the Network they’re on, actor Matt Ryan is going to reprise his role as John Constantine in the fourth series of Arrow. The Constantine star took to Twitter to confirm the details, in the video below. Constantine will appear in episode 5 of the upcoming fourth series. I’m excited by this news, I feel that Constantine had a great first series. Hopefully his apperance will cause the CW to green light a spin-off. 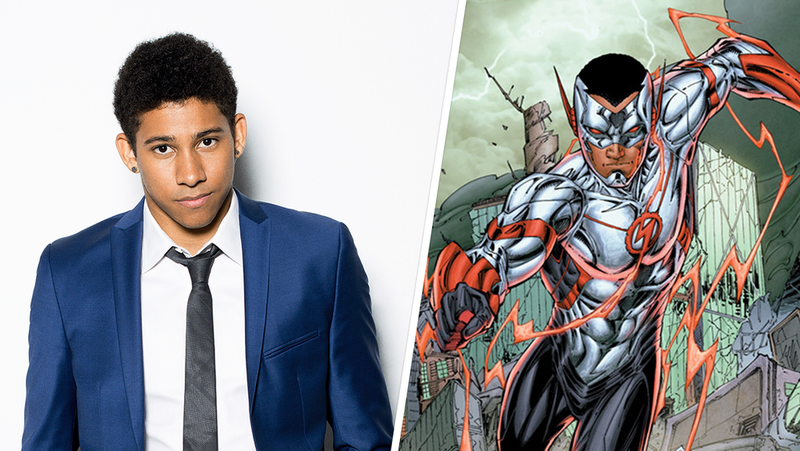 23-year old Australian actor, Keiynan Lonsdale has been cast as Wally West in the second series of the hit show, The Flash. In the comics, Wally West is Iris’ nephew. After an accident similar to Barry Allen’s, he becomes Kid Flash and eventually, takes over as The Flash. I not familiar with Lonsdale’s work but The Flash producers haven’t made a bad casting choice yet. It’ll be interesting to see if they keep him as Iris’ nephew. I suspect they will change his origin a little and he’ll be from an alternate Earth, where Joe had a son instead of a daughter.